The plane flown by our shepherd is a Second World War-era de Havilland Mosquito. A 2014 documentary tells the story of Canadian efforts to put one back in the sky. This story was originally published in December 2014. The de Havilland Mosquito — the aircraft at the centre of Frederick Forsyth's short story The Shepherd — has often been hailed as the plane that won the Second World War. Known as "The Wooden Wonder" and "The Timber Terror, it also has a strong Canadian connection. To our 1957 jet-fighter pilot in The Shepherd, the appearance of a de Havilland Mosquito in the sky below him is a vision that's difficult to reconcile. De Havilland ceased production of the aircraft in 1950 — and to encounter the "piston-engined aircraft of an earlier generation," as he described it — would have been a surprising sight for his sore eyes to behold. 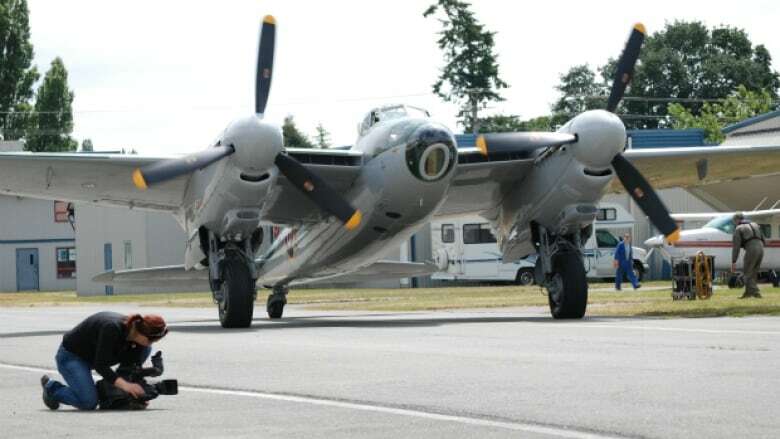 Fast forward another 57 years, to the summer of 2014 — when plenty of people witnessed the flight of a De Havilland Mosquito over the skies of Sidney, B.C. It was a welcome sight — but no surprise for April Butler, director of Gaining Altitude: The Mosquito Reborn — a 2014 documentary about the five-year effort to restore a Mosquito to flying condition. That flight marked the apex of a five-year devotion to capturing a historic restoration on film. "It was emotional," she says of seeing the Mosquito take flight. "I got a little teary-eyed. When it finally did go up, it was just this quiet amazement." Butler's film tells the story of the painstaking efforts of a crew of aircraft engineers at Victoria Air Maintenance in Sidney to restore a Mosquito to flying condition. 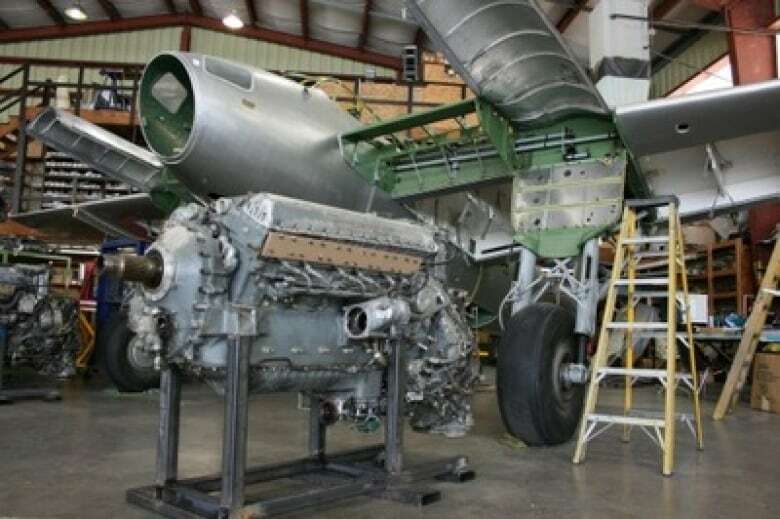 The film also touches on a Calgary-based project to return one of the airplanes to running condition. 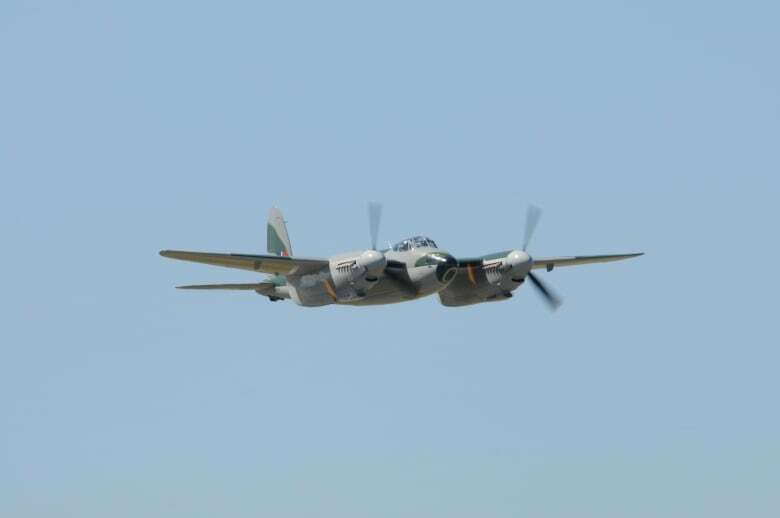 If you'd like to hear more about the history of the Mosquito, be sure to check out our interview with Dave Barrett, who also makes an appearance in the film. Like the shepherd in Forsyth's story, Barrett was a member of the crack RAF flying squadron known as the Pathfinders.